The truth about Mary is that she was the Lord’s mother. Yes, she was a virgin! But Mary did not remain a virgin, she went on to have children by carnal knowledge. Before I go on with this article, I’ll say this: Like most a Puerto Ricans, my spiritual life began as a Catholic. My grandmother use to practice Santeria, an idolatrous religion that combines the Catholic worship of saints with African Yoruba deities. As a Catholic, t I did not learn the truth about Mary. What I did learn was the blasphemous practice of worshipping her. What I learned was to bow down to a statue of Mary to give her praise. I did not learn the truth about Mary. During my deliverance with Pam, the demon in me wailed, moments before Pam cast it out—-, “Nydia is mine. Her grandmother gave her to me.” My grandmother worshiped the Catholic saints. I’d like to share an excerpt from Pam Sheppard’s groundbreaking book entitled, ” Faces of the Religious Demon”. Pam, along with Christian authors like Derek Prince and Rick Joyner write about the religious demon. Yet, Pam’s textbook digs the deepest, and shines floodlights on the scope and intricate wiles of such demons. Pam’s book, ” Faces of the Religious Demon ” is the go to book on the subject of this type of demon. There is no other book of its kind in our world today. As a result of the Holy Spirit using Pam to set me fre from the religious demon, the Lord has given Pam an abundance of revelation backed by scripture. The Catholic deification of the Lord’s mother, is yet a very clever device of the spirit of Antichrist. 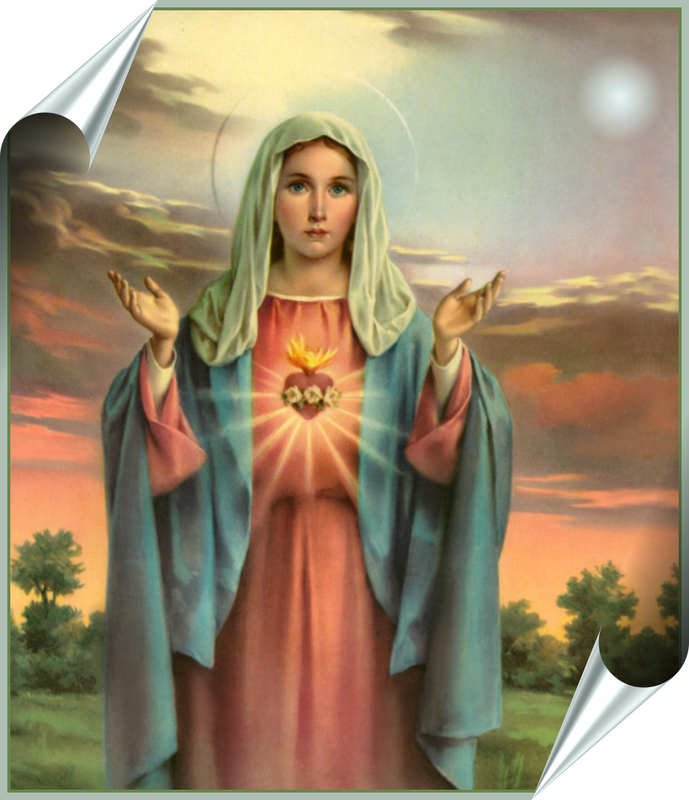 A classic example is evident within Catholicism, where followers not only pray to Mary, but teach that she herself, was immaculately conceived. Truly the deification of the Lord’s mother is subtle, though outright denial of the Lord’s sole divinity. That is the truth in a nutshell— the truth about Mary. Pam goes into greater detail in the book.
. I would like all who read the above article, to remember the Apostle Paul’s command. Apostle Paul admonished that we should examine ourselves, to see if we are in the faith.